Actually using Pinterest effectively, and getting past the “sticking some images up and hoping for the best” stage, is something we’ve been working on with a few customers lately. Unlike the other big social media sites where the line from interacting to actual sales can be a little vague, Pinterest is like one great big shop window. If you’re in a “product” based business – anything from curtains to tiaras, but the more visually engaging the better – or a service business where the outcome is interesting to look at (makeup artist, costume designer) then Pinterest should be a key part of your social media presence. As the site has grown, so have the functions on offer, apps which can help you, and ingenious ways of making use of both. So we thought it was time for a little mini-series on some of the more advanced ways that Pinterest can be used. All of them are directly focused on helping you to make more sales through Pinterest. We’re assuming that you already have the basics down – verified Business account, quality images, responsive customer service, and so on. Over the next couple of weeks we’ll show you how to take that to the next level. Here’s your Pinterest “To Do” list! First up: 3 steps to killing it with Special Offers. 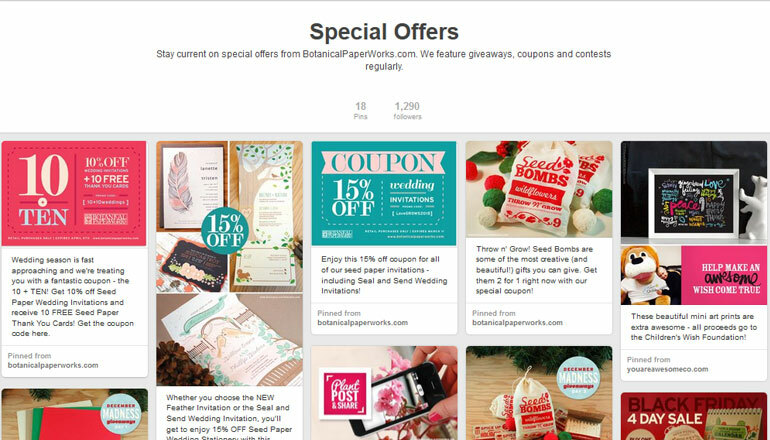 Discounts, offers, and coupons are pretty popular on Pinterest. Everyone likes to save money, and savvy Pinterest users know that sharing a really great offer with their network is a shortcut to kudos! 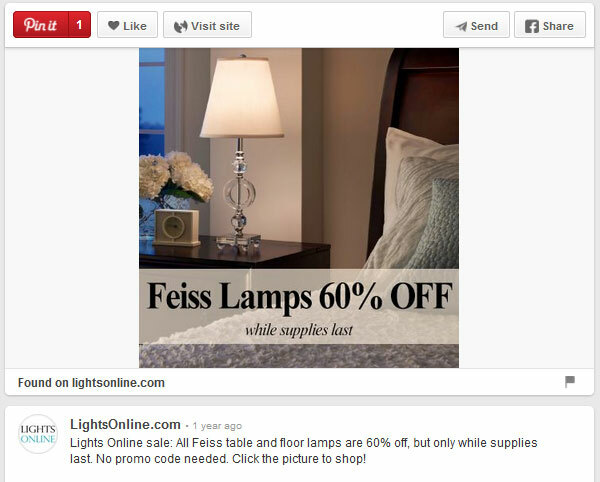 There are two reasons why Special Offers travel faster on Pinterest than on, say, Facebook. Firstly, the visual format makes it easy to create an eyecatching image and convey an offer instantly. So, regularly preparing Pinterest-friendly special deals, and having a Pinterest board just for those is a great idea to increase your following and skyrocket shopper traffic to your site. 3 steps for making sure your Special Offers fly out the door. Ensure that the “whole deal” – ie, the thing you’re discounting, and what the special offer is – is clear from the image alone. It needs to stand out as users scroll through their Pinterest stream, and although the human brain can take in information incredibly quickly, it won’t do that if you’ve put the deal in some small print. 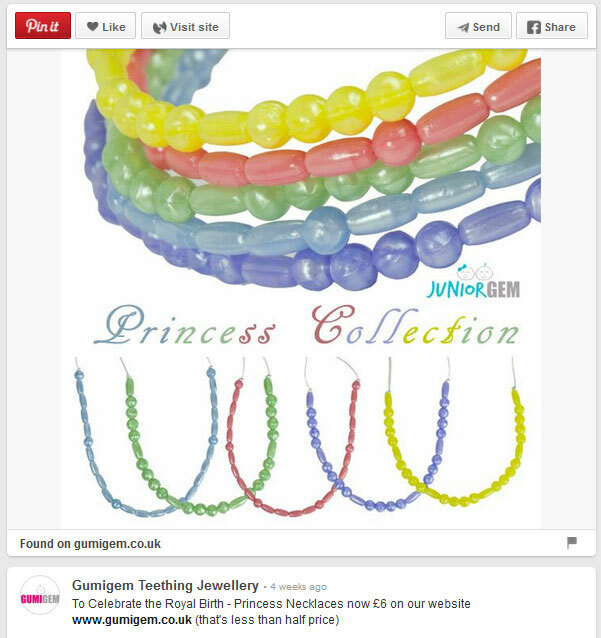 Make sure that your image links directly to the relevant page on your website, if you’re selling online. Don’t just take people to the Home page and expect them to figure it out from there. 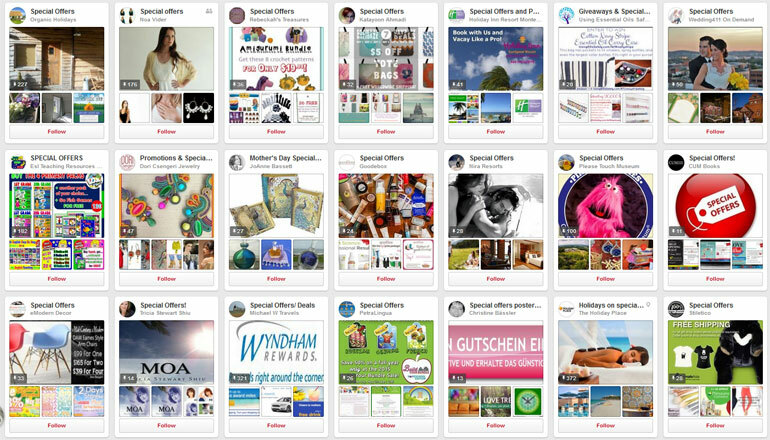 Take some time to search out Pinterest users who are heavily into collecting offers for your sector. 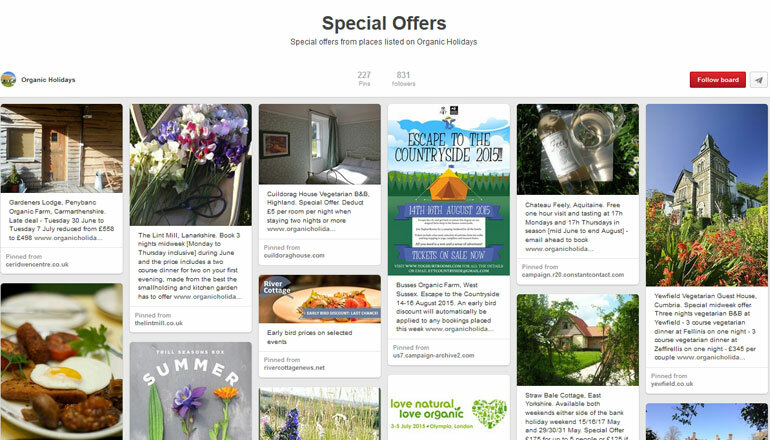 Leave a comment on one of their existing pins telling them about your offer. If it’s good enough and they think their followers would like it, they’ll pin it themselves. They might even invite you to collaborate on their boards, so that you can add future offers directly. Aaaand….GO! Get those offers up and sending you traffic. Next week, we’ll be looking at getting your products found ahead of the competition on Pinterest.